Mayor Tonsing and the members of the Holyoke City Council came to Holyoke Elementary School to hear fourth grade presentations about a solution to a student identified concern in Holyoke. In a project based unit that was collaboratively taught by art teacher Mrs. Jade Goldenstien and writing instructor Mrs. Melanie Wheeler, students identified an architecture need in our community and proposed designs to overhaul the Holyoke City Baseball Field Playground. The students worked in groups to research, brainstorm, plan, evaluate, modify, and finally present their playground solutions. 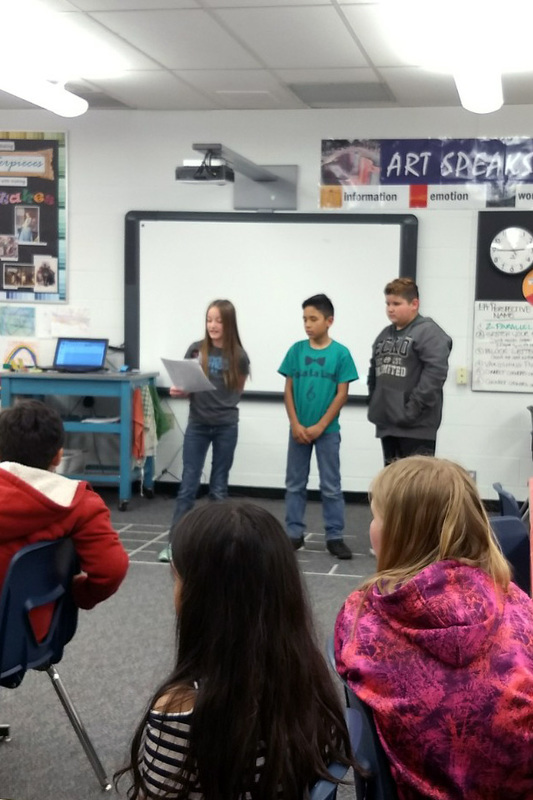 In writing class, each student crafted a persuasive writing piece with the purpose of persuading the audience that his or her playground design was the best. 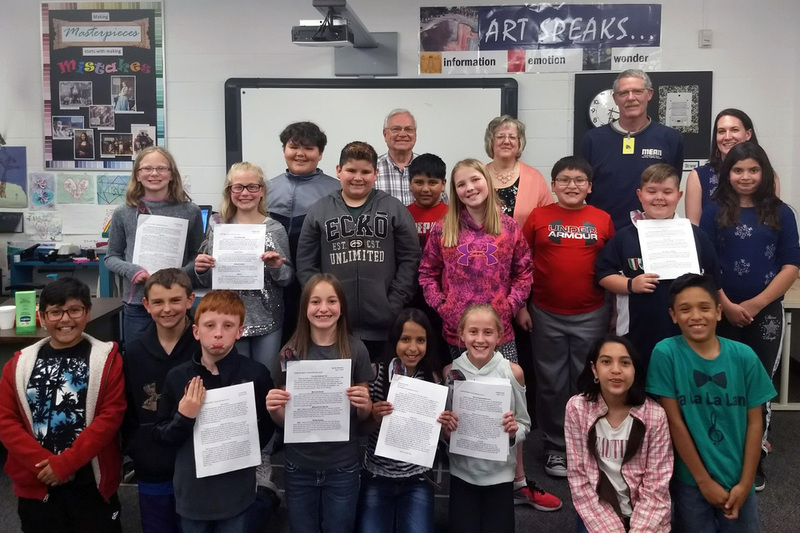 Mayor Tonsing and the city council listened to presentations where students shared their ideas both visually and orally about the equipment and layout in the playground. Students had an opportunity to develop skills such as problem solving, collaboration, self-management, communication, and critique. Most importantly, kids made a contribution to the betterment of our community by identifying a need and proposing a solution. Overall, it was a uniquely fun and valuable experience for all! 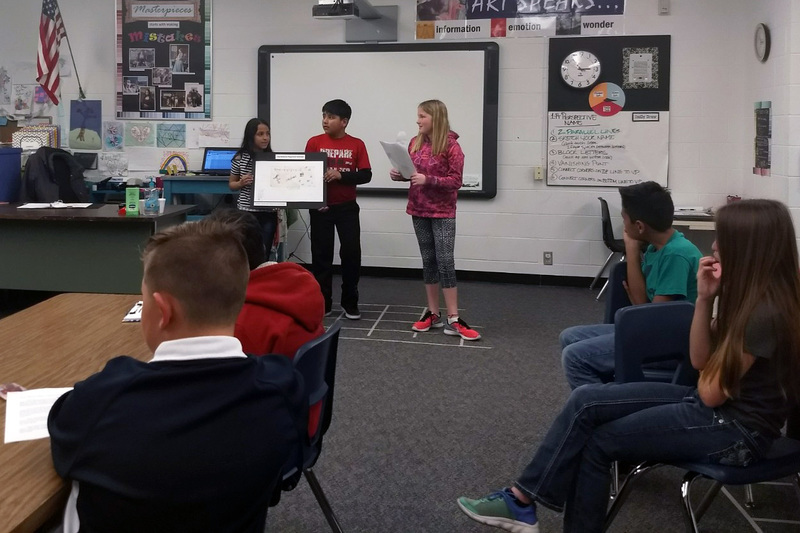 Project Based Learning is student-centered inquiry-based learning model that is designed to help students acquire a deeper knowledge through active exploration of real-world challenges and problems.